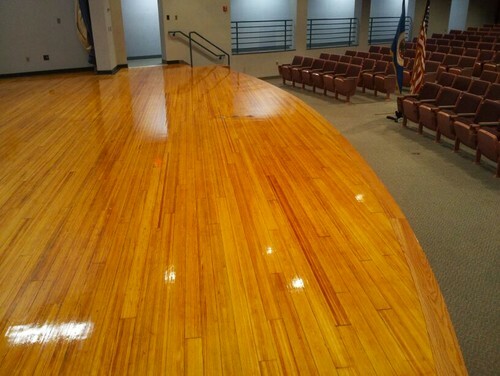 Check out some of our commercial & sports flooring projects below. 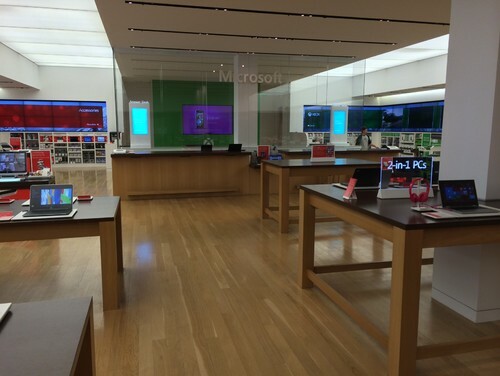 Microsfot Store- Mall of America - Resurfaced Hardwood Flooring throughout store. 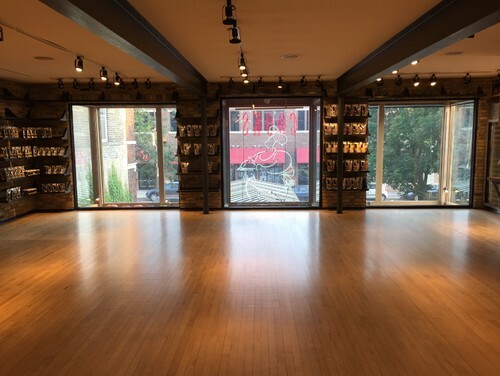 GNC Eden Prairie MN - Sanding & Refinishing of Hardwood Floors. This service is offered throughout the entire state of Minnesota and in some parts of Wisconsin and Iowa. Sports ﬂoors typically wear through 1-2 ﬁnish layers per year. To properly maintain gym ﬂoors, they should have a maintenance buff and recoating at least 1 time per year. Rhodes Hardwoodʼs maintenance procedure for sports ﬂoors and other commercial ﬂoors is odorless, dustless, fast drying and very durable. Best of all, most jobs can be done in 1 day or less.